A common question when it comes to HVAC furnace operation and efficiency is whether or not it is normal for a furnace to be running all the time. The answer to this question is no, no it should not. Living in Canada, it may seem like a furnace might need to run all winter to keep us warm, but this is not the case. If your HVAC heating unit is running non-stop, that is good indicator that there is a problem with the system. What causes a Furnace to run Constantly? There are several factors that may contribute to your HVAC heating system running 24 hours a day. Either way, you have a problem here that should be addresses as soon as possible. With first scenario, the furnace is always running but the temperature just never reaches the intended setting. If your thermostat settings are set to automatic, then the fan should only be blowing when the thermostat is in the midst of a heating cycle. It is not recommended to try to fix this problem on your own, unless you have HVAC training and experience. A better idea is to call in a professional HVAC technician, which can be found at Air In Motion Heating & Cooling. 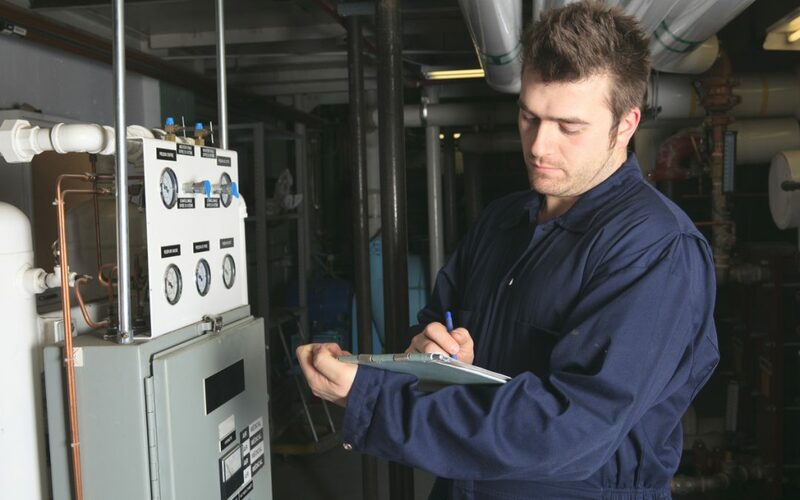 Employing an HVAC expert means you will get the most effective solution, without the worry of exacerbating the issue. Another possible cause of incessant furnace operation is a blockage in the system. For an HVAC heating unit to operate efficiently, there needs to be sufficient air flow. If air flow is being blocked, the furnace will continue to pump out hot air to compensate. Just as a blockage in your HVAC system can cause heating issues, so too can a leak. A leak in your heating ducts will allow hot air to escape, instead of coming out the vents to heat your home. This means the furnace will continue to run without ever reaching the set temperature. Scenario two involves an HVAC system that is providing enough heat, but just won’t shut off. This type of problem usually indicates a problem with the thermostat. The purpose of the thermostat is to tell the furnace when to operate in order to regulate temperature. If this is not happening, then there is likely a problem with thermostat batteries, wiring, or the entire system. This is a good time to call the experienced HVAC technicians at Air In Motion to provide an efficient and effective solution.